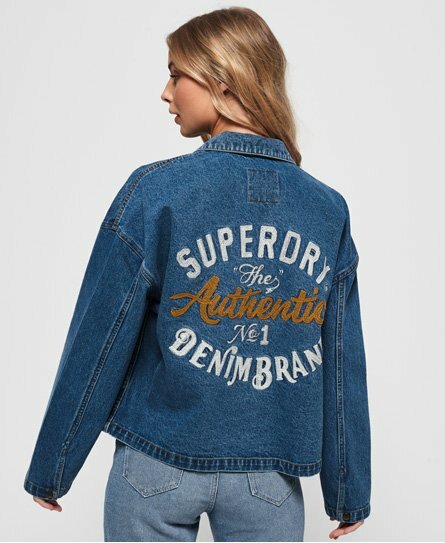 Superdry women's Trucker jacket. This denim jacket features a front popper fastening, two popper fastened pockets on the chest and two open pockets on the front. Completed with an eye catching stitched Superdry logo on the back and a Superdry logo badge above the pocket.